Transmitters and Receivers for remote controlling model boats and ships. 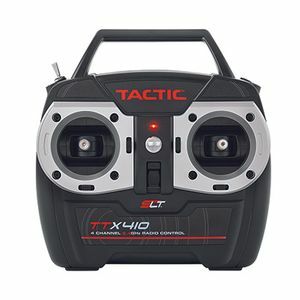 This amazing radio has just been re-released with a 2.4GHz transmission making it possible for use in the United States! 4 Channels straight out of the box with expansion capabilities that will make controlling any model a breeze. The four channels provided are the horizontal and vertical movements of both the left and right stick. If fitted with the dual throttle the left stick will be replaced with the dual throttle unit giving you vertical movement of two sticks. If "Dual" is selected from the "Throttle Type" drop down menu your radio will be delivered with the left joy stick as a dual throttle, pre installed. Perfect replacement transmitter for AquaCraft boats like the Rescue 17 or Bristol Bay or install and use on your new project. 4th Channel is the toggle switch on the top left as seen in the image. Prefer Pistol Grip over joysticks? This radio is for you. 2.4GHz transmission for long range without any interference. Provided with the transmitter and receiver. Requires 4x AA batteries for the transmitter. 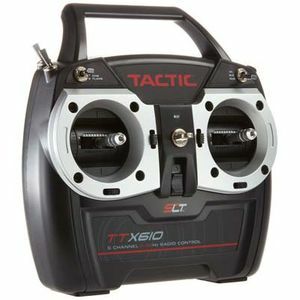 For use with all Tactic Radios, this receiver will work with 4 or 6 Channel radios. We offer this well established and proven radio at a great price. Don't wait weeks for a delivery from Asia. We can ship immediately. Don't get confused by the fuzzy descriptions and stock numbers as seen on the internet. 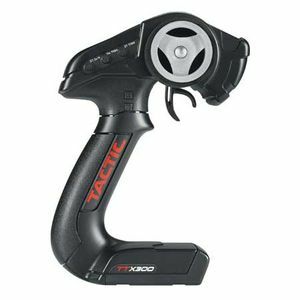 We have selected a model with features that you expect such as left hand throttle stick control and correct additional receivers, if you need more. 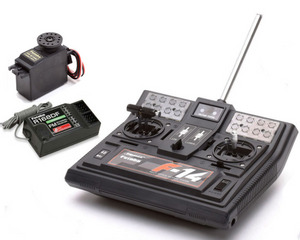 We have also included instructions for electronically binding the transmitter and receiver, not offered by Hobby King. Can be used for surface or air. Receiver antenna needs to be installed above the surface of the water for proper signal reception. For use with HK24RAD 4 channel radio found here. Includes one receiver, binding plug and binding instructions. 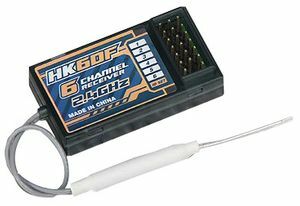 Extra receiver for Hobby King 6 Channel Transmitter and Harbor Models' Dual Throttle Transmitter. Comes with one receiver, one binding plug and binding instructions. Turn on and off individual functions from your receiver. 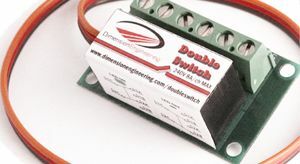 This switch can also be used for regular electrical connections by chopping off the JR plugs at each end and stripping down to bare wires. Includes switch cover plate and screws. 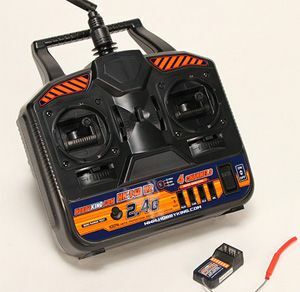 Takes 4x AA Batteries and will output between 5.5 and 6 volts, depending on AA batteries used. 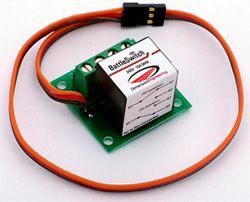 ***Note: Do not use receiver battery packs if you are powering your receiver with a Battery Eliminator Circuit (BEC).